The North has much to recommend it, such as the steel industry, but from what I’ve seen it doesn’t have much to brag about in the way of clouds. Your typical Northern cloud is a lopsided, anemic bag with these little wispy hairs sticking out of it. It is constantly on the verge of breaking apart and becoming nothing, and this very quality is what makes a Northern cloud so terrifying on a teleological level. You can literally see right through it. “If this cloud can’t hold itself together, what chance do I have?” is a common reaction of some Ivy League intellectual from Pittsburgh or Vermont looking at a cloud. But I would like to introduce you to hope in its fluffiest incarnation. Come feast your eyes on the bounteous clouds of the South. Thanks to our gentle, balmy winds and other atmospheric conditions, clouds below the Mason-Dixon Line often arrange themselves into pleasing shapes. Can that be a rabbit fashioned of cotton candy and moonbeams dandling itself above our wondering heads? Such things are beyond our ken. And surely that is not the intriguing cameo profile of a fascinating old man projected onto the surface of the sky by some advanced technology that our tiny human minds can never understand. Look again! It is probably a cloud. Don’t be scared. This is the way clouds are supposed to be. The other day I was whittling on a willow branch and wondering if there’s anything prettier than a cloud. That’s when the answer came to me: two clouds! Clouds are just the same now as they were in the time of the dinosaurs. Think about it. 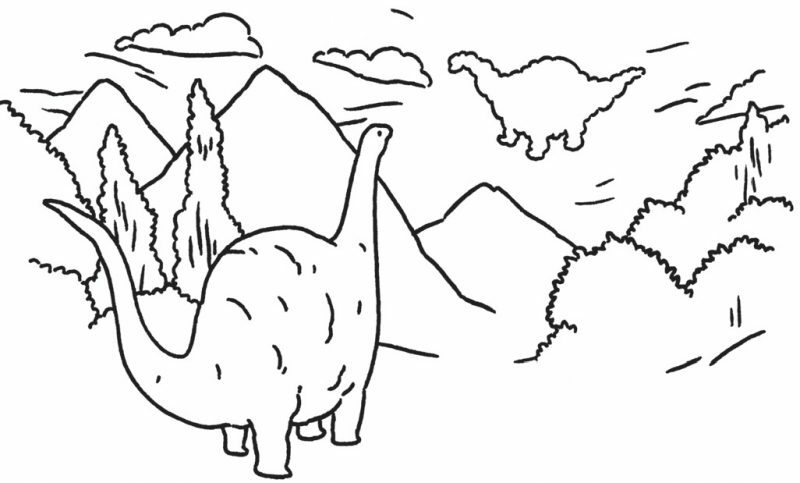 A dinosaur could look up and see the same clouds you are looking at right now. For this reason, scientists agree that clouds will one day help us in our studies of dinosaurs. Way to go, clouds! Next time you wonder what it felt like to be a dinosaur, just look up at a cloud and try to pretend you have a pea-size brain. Clouds don’t care if we are smart or dumb. Clouds love me just the way I am. And don’t forget they are rich in vitamin B. But just as a Southern gentleman will never question a lady’s opinion as to the shape of a cloud, even if she says it is a cudgel when it is clearly a teapot, a true Southerner will not correct his ladylove when she denies that dinosaurs ever existed. For the more adventuresome Northern visitor, then, I recommend seeking out a traditional Southern Cloud Party, at which such gracious manners are regularly on full display. It all begins with rum. A forest setting is best. Pretty soon the baying bluetick hounds of the old colonel will have treed a cloud, and that’s when the real fun begins. The children, who by now are feeling the effects of the tropical “mixed drinks,” take turns beating the cloud with a long stick. Don’t worry, the cloud likes it. Next come the elaborate patty-cake routines. In the olden days, people believed that this would cause the clouds to multiply. Now, of course, we understand that clouds reproduce sexually. But we keep up the old ways out of our keen sense of honor—you know how we are. Afterward we all go to sleep in a big pile and it is a humane and loving thing. And call me old-fashioned if by golly the morning after a rousing, old-fashioned Cloud Party there always seem to be a whole lot of new clouds in the sky. Coincidence? Maybe. Or maybe there’s magic hanging in the soft Southern air. And the name of that magic is clouds.